Drew Franklin is my spirit animal. Must listen for Kentucky sports fans! Great info with hardly committed! From the great intro to the talk about the office. This is a good podcast. Lots of recruiting information. Will hold me over to UK basketball season. Don’t listen to Aaron Torres in the car with your 9 year old son while taking him to school. Torres is kind of boring anyway. All other KSR podcasts are too notch. Torres is not a good fit for the KSR family. The best podcast there is! Best podcast out there. Listen to it daily commute. White necklaces and Hawaiian shirts! Everything these guys put together is Gold! Came for the recruiting news and information, stayed for The Office episode reviews. Love every podcast you guys put out, you all do a fantastic job! KSR gets me through work every single day and keeps me up to date with all things UK Athletics. Awesome and insightful from TJ Walker. Man, that T.J. guy seems really smart and cool. I bet he has a ton of friends. Enjoyable podcasts, knowledgeable host, great guests, and Aaron keeps it real. Matt, Ryan, Drew, & Shannon are consistently entertaining and talk about a lot more than just Kentucky sports. In fact, some of their most interesting episodes are nonsensical (a food bracket, having Ryan talk while coming out of anesthesia, cold calling people in their phones as part of a contest). Honestly, one of my favorite parts of every weekday is the moment that I get in my car, press play, and hear the sound of "Werewolves of London". I love Aaron Torres's insight and analysis of college sports. I do believe this will become the best college sports podcast, but the several claims from Torres himself is off-putting. Keep up the good work with your PFT-like voice but in a serious conversation, just hold back the self pats on the back. Let the reviews, social media, and others in general sing your praises. Tomlin & Cruse are the best thing to happen to the family of KSR Podcast. Great stuff!!! Great KY content & more! The variety of podcasts on this feed are the perfect way to complete my home away from home coverage! Tyler is the best! The football guys and all the rest fill my traveling work days with fun! Keep-’em coming! Nick talks too much. Good pod though. Freddie Maggard and Jared Lorenzen provide the knowledge. This isn’t the “Kool-aid drinking” commentary you get on KSR. Freddie analyzes every team and gets you prepared for what to expect each week. Drew brings the comedy and everyone picks on Nick. Very entertaining and informative. Fun, informative and always entertaining. I don’t miss a podcast. There are 5 or 6 podcasts on this one feed and only one is worth listening to on a regular basis. I'm not going to subscribe when I'm going to be deleting more episodes than I listen too. Quit trying to trick people into listening to garbage and quit trying to fudge your download numbers. The KSR crew never fails to entertain me and always keeps me up to speed on UK sports and important current events in the most ridiculous way possible. Love listening to the podcast every evening! All of the podcasts are great, entertaining listens!!! Matt Jones is a genius. Great football and depth chart podcast. I am loving the football podcast gets me ready for game day. Freddie and Nick both are great additions to the KSR crew. 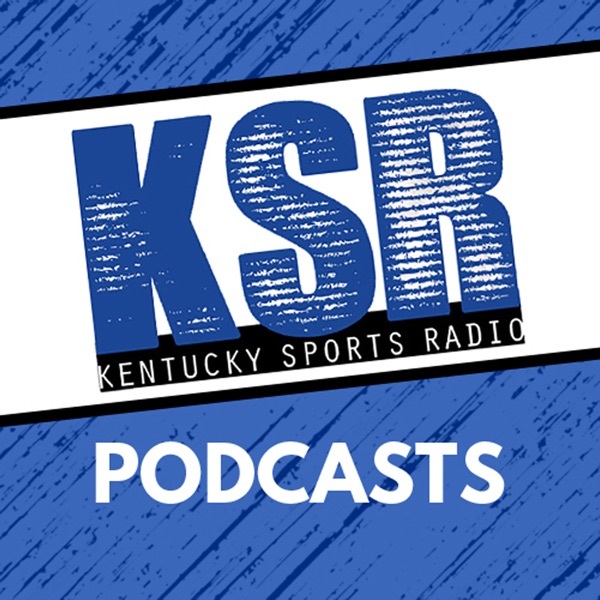 This is the podcast subscription for all KSR stuff that is not the show. Lots of great content! Always bringing it with great material on all things U.K.
Freddie Maggard, Jared Lorenzen, Nick Roush and Drew Franklin and the football podcast make this worth subscribing to by itself. But with the OTT, The Depth Chart and all the other ones they do you can't get much better. You will enjoy listening to the non sports related topics than the actual sports. It's great. I like every show on this podcast. From KY thrones, the ott, the depth chart and my favorite the football podcast!!! Great group of podcasts. Best place on the internet for uk football. Very entertaining podcast on all kinds of sports topics, not just Kentucky. Enjoy! NO STATION MANAGER = uncensored Matt! Left-wing political propaganda in the guise of a sports podcast. A fresh approach to sports. More than just the basics.